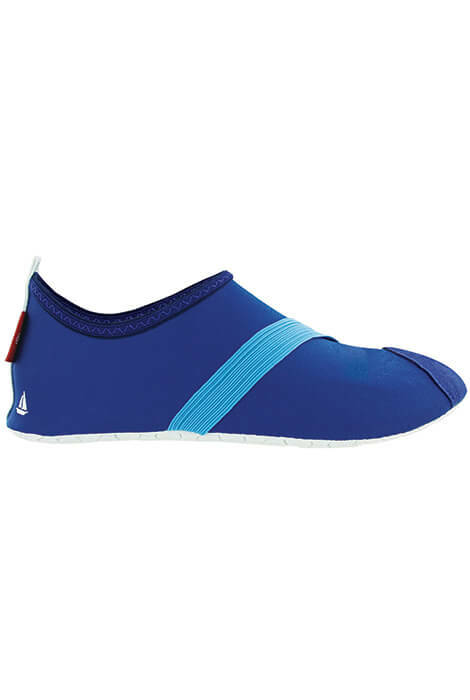 When it's time to enjoy the water, treat your feet with these stretchy, comfortable slip-on shoes. 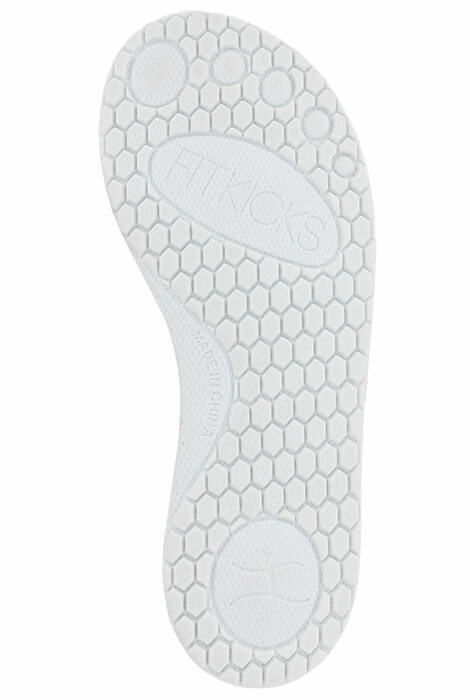 Perfect for the beach, boat or water sports, Maritime FitKicks® provide ergonomic comfort with a durable flex form sole. A single diagonal strap keeps the shoe securely on your foot. 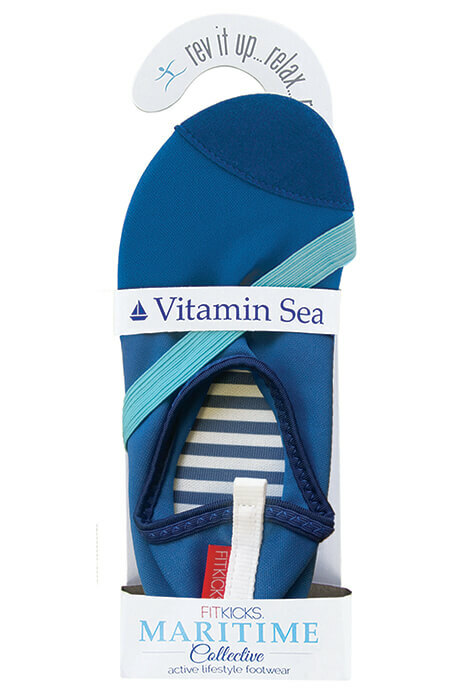 Available in 4 size ranges, this foot-hugging design fits nearly any foot perfectly. I live along a river and these shoe seem to be the one I need. Light weight and mesh included to wade from shore. Liked the sturdier foot Soles.